Sassy Baby Ladybug Teethers 2-Piece (Red/Pu..
Sassy Baby Water-Filled Teethers (2 pcs) - .. The First Years Bristle Buddy Teether 1-Pie.. The First Years Floating Friends Teething R..
A wooden pacifier chain comprised of a series of smooth, colourful wooden beads threaded securely onto a string to which a pacifier or teether may be attached. 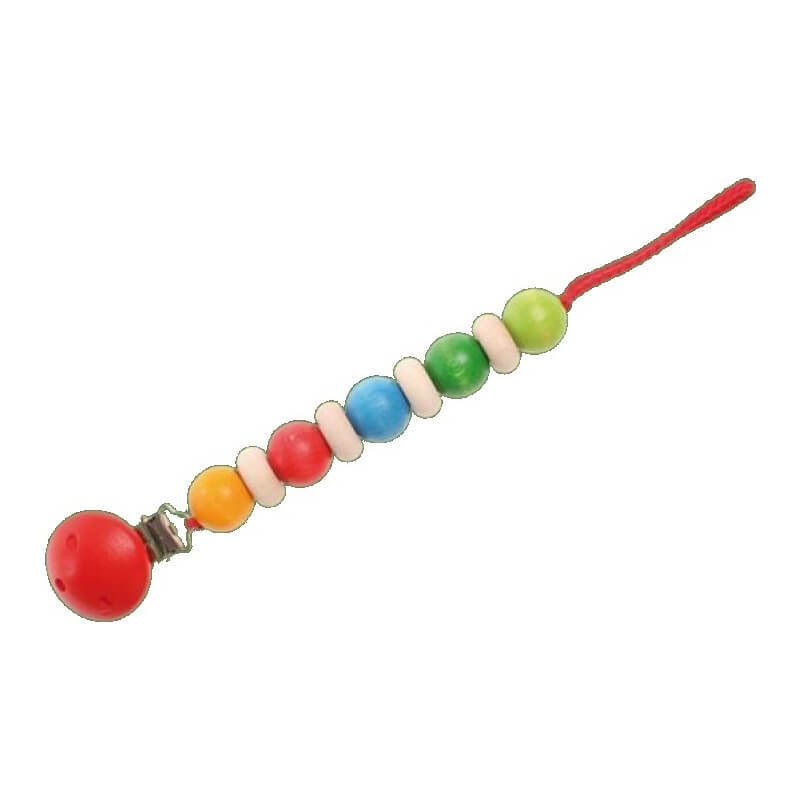 This is an excellent alternative to plastic pacifier holders, and the wooden beads are finished with safe, water-based finishes and colours, making this a safe toy for your baby to chew on. A metal clip is attached to the large wooden bead at the end of the chain, providing a convenient and safe way to attached the chain to your baby's clothing.